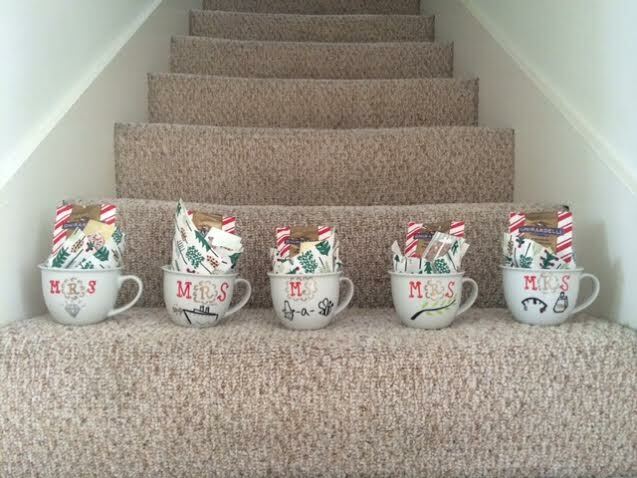 This year for my school holiday gifts, I was inspired by one of my favorite YouTube Channels, What’s Up Moms, to create DIY mugs for my colleagues! 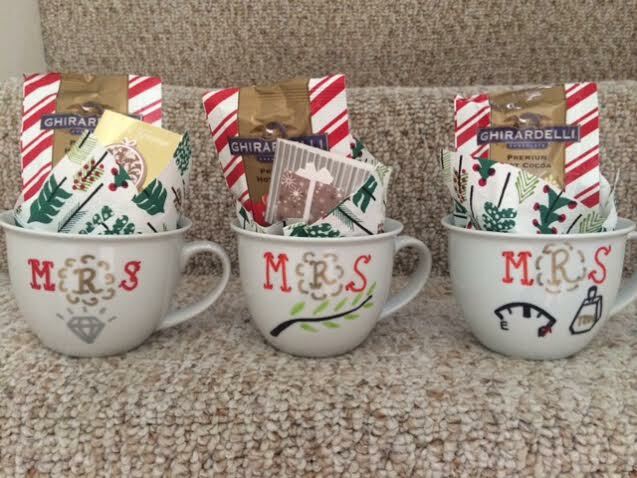 I bought white ceramic mugs and gift tags from Dollar Tree, ordered oil-based Sharpies from Amazon, and then wrote the person’s name on the mug in a pun-intended kind of way, incorporating pictures (luckily, many of the teachers’ and staff members’ last names worked well with this idea, but I definitely had to be more creative with some than others). I then baked them in the oven at 425 degrees for 30 minutes each so that the ink became permanent for washing. 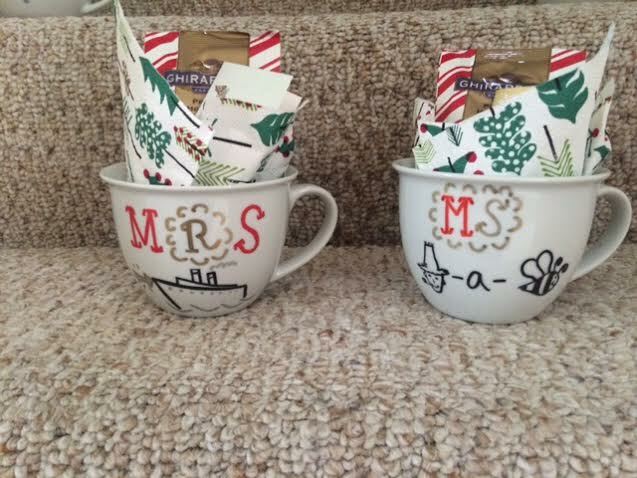 At the end, I added a festive holiday napkin and a packet of Ghirardelli’s Peppermint Hot Chocolate with the gift tag on it as an added treat! I will say that I finished two of them and was like, there! And then was like, oh man, I have eighteen more to go (trying to fit them in whenever the baby was napping;)!! Thank you so much for a wonderful year. I appreciate each and every one of you who takes the time to read this humble little blog from time to time. Thanks! The credit goes to What’s Up Moms for their creativity!